Mrs. Claus is coming to town! 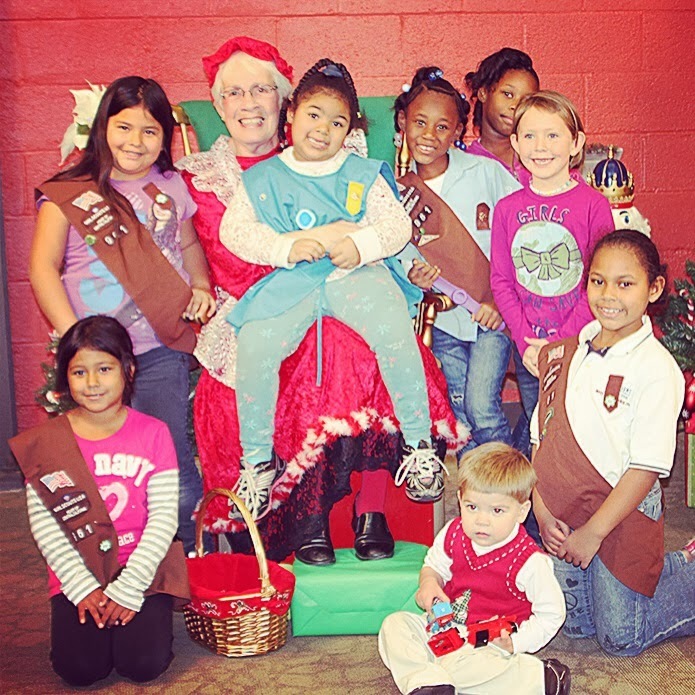 Mrs. Claus has been visiting Girl Scouts Heart of Central California (GSHCC) for several years, and this year she will be at the GSHCC Sacramento Regional Program Center’s GS Shop on December 21, 10 a.m.–2 p.m.! This free event will include a photo opportunity with Mrs. Claus, games, crafts, and special shop sales. Plus, if you bring a donation of school supplies for GSHCC’s World Thinking Day education event, you will receive a 25%-off coupon to use at The Girl Scout Shop. The Modesto Regional GS Shop will also celebrate from 11 a.m.–3 p.m. on December 21 with raffles, games and a fun wintery photo backdrop. While you’re at the shop—check out the perfect holiday gifts! GS Shops have everything from stocking stuffers, dolls and Speed Stack cups, to warm knitted scarves, caps and gloves. Please note GSHCC’s holiday hours: The GSHCC offices and shops will be closed December 25–January 1 for the holiday break, but our eShop will be open 24/7 with FREE shipping! Previous Post Invite a Friend! Next Post Mrs. Claus is coming to town!